Other Food: daily devos: Irresistible temptation? 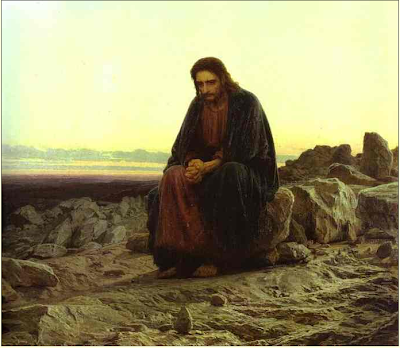 Who of us can’t empathize with Jesus in His temptation? At the moment of His greatest vulnerability Satan came to Him, whispering--You need this. You deserve this. Here’s a way to prove how really great You are. 1. “The lust of the flesh.” Your physical self craves this. You’ve got to have it. Satan tried it on Eve in Eden (“the tree was good for food”–Genesis 3:15), and here on Jesus (“Command this stone to become bread”). 3. “The pride of life.” Here’s a way to realize or prove your human potential. To Eve it was “a tree desirable to make one wise.” Satan challenged Jesus: “throw yourself down from here.” The arrival of angels to rescue Him would prove His identity as the fulfillment of a prophecy about Messiah (Psalm 91:11-12). When dealing with temptation, first we need to recognize it. Look for the satanic fingerprints of the lust of the flesh, the lust of the eyes and the pride of life on temptations that come our way. After recognizing temptation, we need to deal with it. To each temptation Jesus replied with truth–the Scripture. He knew that Satan’s stated or implied promises were only as good as their author–full of deceit and a pack of lies. There are other ways to respond. Sometimes we need to flee the situation (push away from the table, turn off the TV or computer). At other times we need to face the situation (you’ve just got to your car and realized there is a bag of flour, unnoticed and unpaid-for, on the bottom of your grocery cart, so you turn around and head back into the store). Next time we recognize temptation, let's breathe an SOS prayer and then take the "way of escape" that God shows us. PRAYER: Dear Jesus, thank You for Your example of how to deal with temptation. Help me to recognize temptation and discover Your way of escape. Amen.